Aspire to HE (Higher education) launched its programme offer of university subject taster-courses, workshops, creative programmes and applications for the Aspire to HE School Innovation Award to school teachers at the Molineux Stadium in Wolverhampton recently. The aim of the Aspire to HE partnership, part of the National Collaborative Outreach Programme (NCOP), is to increase the number of young people from more disadvantaged background to progress to Higher education. Aspire to HE is currently working with schools and colleges in 29 wards across the Black Country and Telford and Wrekin, where students have lower than expected levels of progression to University of a Higher level apprenticeship. 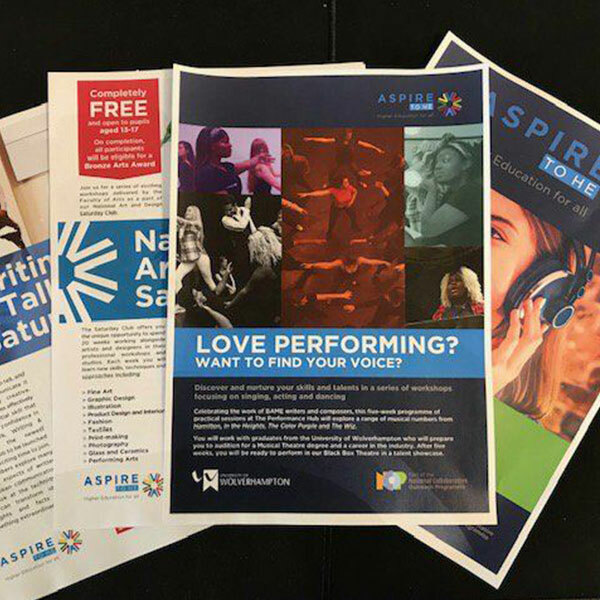 Since Aspire to HE began its work in January 2017, the partnership has worked with over 8,000 young people, from year 9-13, in its target ward areas. The partnership has achieved some of the highest levels of pupil engagement amongst the 29 NCOP partnerships across England. Aspire to HE, led by the University of Wolverhampton, provides a programme of activities to schools that are designed to break down some of the barriers young people can face when considering progressing to Higher education. These may include a simple lack of information about the variety of courses on offer, finance, career routes and the misconception that university isn’t an option for them. The event brought together Aspire to HE’s network of school teachers and senior leaders from over 30 of the project’s partner schools to show what university subject and taster courses are available to students and how to apply for this years’ School Innovation Award. The HE workshops, programmes and taster courses are all provided by the University of Wolverhampton’s faculties, and offer a range of opportunities to school and college students, including support for students retaking GCSE mathematics; Arts, Fashion and Business Saturday clubs; Sports Careers taster days; Science theatre shows; Drama workshops; Dragon’s Den-style entrepreneurial pitching and careers in law. In addition, the Innovation Award, which is unique to the Aspire to HE programme, offers schools the opportunity to apply for a fund of up to £5,000 to design targeted and bespoke activities for particular groups or individual students. These activities are designed to inform student’s decision making about progressing to Higher education.